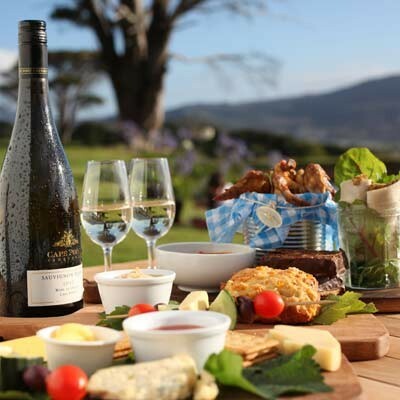 “Cape Point Vineyards’ winemaker Duncan Savage and his foodie fanatic wife Zani have joined forces to create a truly unforgettable Valentines Evening experience at the Cape Point Vineyards Picnic Site. 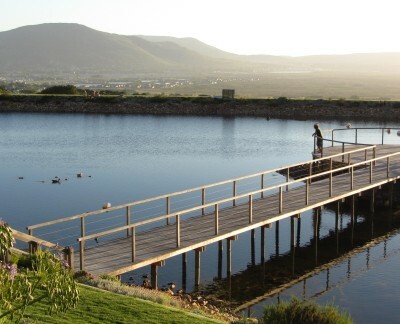 Join us for sunset (from 18:30) at the side of the Vineyard’s dam, where it is set against a backdrop of the magnificent Noordhoek amphitheatre and provides a breath-taking view of the prestigious Noordhoek beach. Celebrate love with a gourmet picnic basket for two that includes crayfish, and two glasses of Cape Point Vineyards 2007 Blanc de Blanc Method Cap Classique; available exclusively from our Picnic Venue for the evening. Grilled crayfish with homemade aioli. Please note that in our Picnic Site will not be open for Sundowners on Valentines Evening. 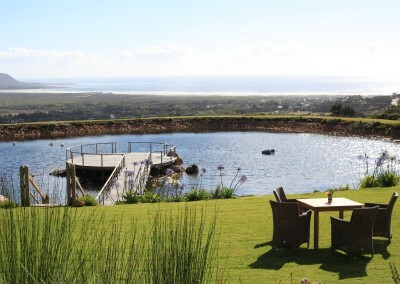 Picnic baskets cost R500 per couple and include two glasses of 2007 Cape Point Vineyards MCC. This entry was posted in Activity, Holidays and Special events and tagged Cape Point Vineyards, Picnic for 2, Valentine's Picnic, Valentines Day. Bookmark the permalink.